Sauron In His Pajamas « Adafruit Industries – Makers, hackers, artists, designers and engineers! The first step was cutting the shapes out of craft foam. Then I ironed heat n’ bond on the back. The heat causes the foam to bend, and it can be formed into the proper shape. I then cut out the nose holes and did any embossing I wanted. 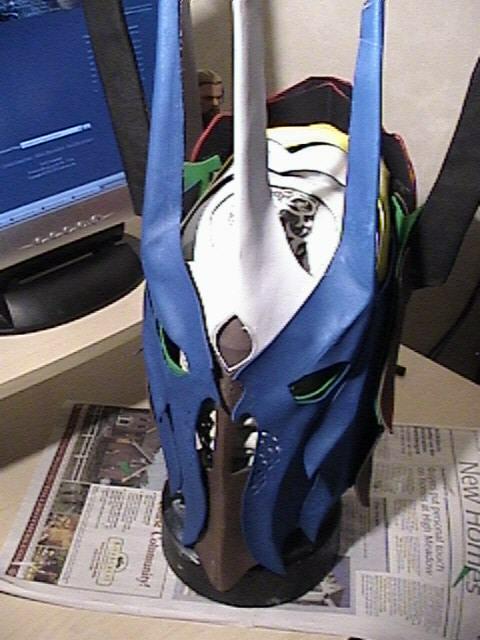 This same process was used on the Eomer armor. I used Paper Clay to sculpt what could not be formed well with the foam. It is very soft and can be smoothed with water to cover ridges where the foam meets itself. It adheres to the foam like glue – once it is wet. It takes patience to work with though. Thankfully it air dries slowly. Read more from Jedi Elf Queen.